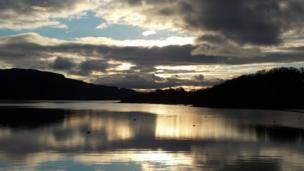 A selection of your pictures of Scotland between 23 and 30 November. 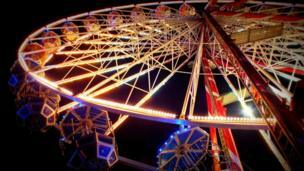 A ferris wheel lit up in Edinburgh to mark the beginning of the festive season. Paul Gilzean, from Burntisland, said the city's Christmas tree was also lit up. 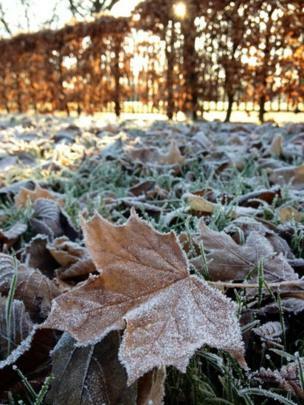 Frozen leaves on Glasgow Green. Photo by Fiona Macdonald from Glasgow. 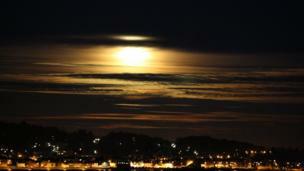 Moonlight over Broughty Ferry. Greig McMinn, from Edinburgh, was on his way to Tayport at the time. 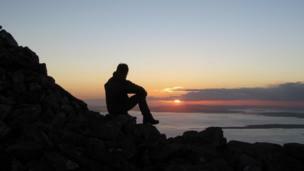 The summit cairn on Roineabhal gave John Masterson, from the Isle of Harris, a view of the Sound of Harris with Berneray to the right and the Uists on the horizon. 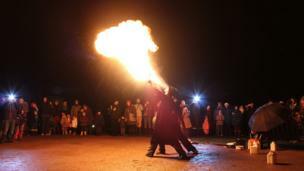 Fire breathers at Crathes Castle, Aberdeenshire, were photographed by David Glen from Aberdeen. 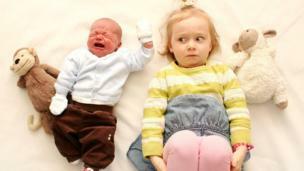 Dad Dave Harris, from Edinburgh, thought Thea did not know what to think of her new little brother Zachary when he first came home from hospital. Collin and Edith Adams, from Crawfordjohn, went to Loch Melfort for the weekend. On Sunday afternoon they sat outside with a glass of prosecco and hot water bottles. 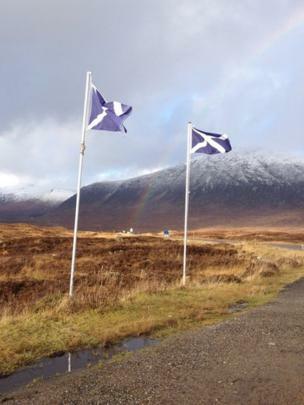 Carol Myles spotted a 'hint of a rainbow' between the saltires in Glencoe at the weekend. Clive Coffey, from Co. Down in Northern Ireland, described Ben Avon and its summit tor of Leabaidh an Daimh Bhuidhe as a "moonlike landscape". 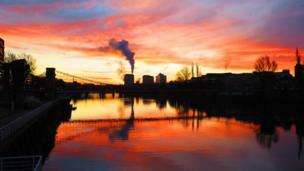 The sunrise over the River Clyde in Glasgow made standing in the freezing temperature worthwhile for Lisa Woore. 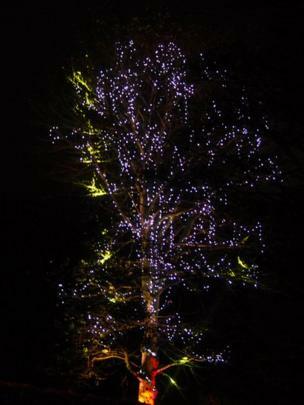 The botanic gardens in Edinburgh were decked out in lights for Christmas. 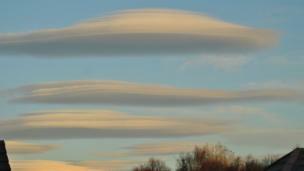 Photo by Steve Roberts from Edinburgh. Fabiola Fernández-Gutiérrez and friends from Dundee spent the weekend chasing the Northern Lights. 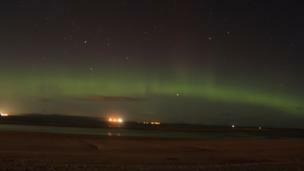 They struck it lucky around 02:30 GMT on Friday night on the beach. 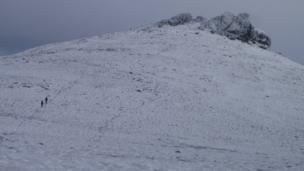 Snow on Dreish and Mayar, two munros north of Kirriemuir. 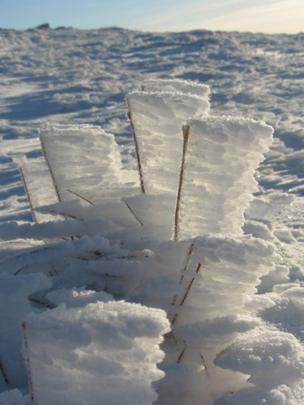 Donald Shaw, from Dunblane, wondered how a blade of grass could withstand so much snow. 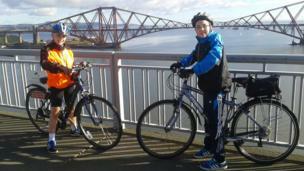 Blair and Callum stopped for a breather on the Forth Road Bridge. They were on holiday with dad James Henderson from Montrose.